MAJESTIC Mountain... Bretz Mountain Village in Shaver Lake, CA. This Magnificent home is bold, thrilling & dramatic! 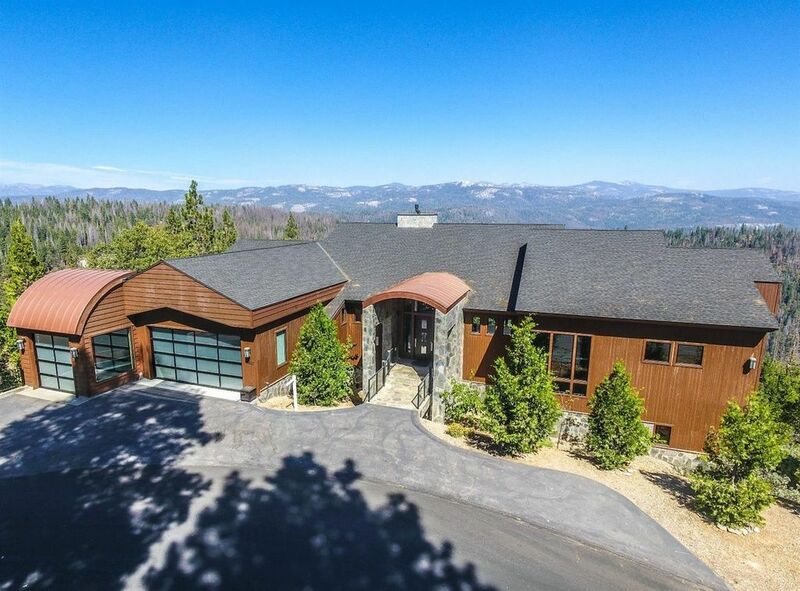 Situated on a quiet Cliffside in an exclusive gated community, it boasts amazing views throughout capturing the beauty of the Sierra's. This Spacious open floorplan features a Stunning Great Room w/ gorgeous stone fireplace, wood floors, wood framed floor-to-ceiling windows, wood framed doors, & cedar ceiling. One of the most attractive Kitchens featuring Magma Granite, Walnut cabinets, & stainless steel appliances. The amenities in this home are exceptional including lighted Marble wet bar, decorator light fixtures, balcony w/ Trek Decking! Owner's Suite features romantic dual sided fireplace, corner windows, wood ceiling, resort-style dramatic bathroom, unique bathtub set by the large windows with endless views & a warm fireplace offering a serene relaxing atmosphere. Unrivaled quality, privacy & space are at the heart of this once in a lifetime opportunity.